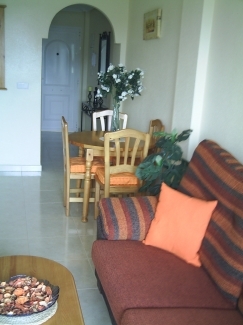 This first floor two bedroomed apartment has views over the Segura river and surrounding mountains. 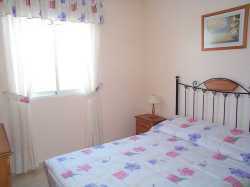 Situated just 5 minutes walk into the beautiful town of Guardamar and 15 minutes walk to the Blue flag beach,pine forest and marina. 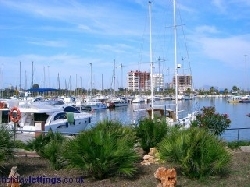 Guardamar Del Segura town has a variety of shops,bars and restaurants to suit everyone. 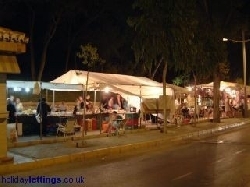 A nightly craft market and a weekly market for great bargains.A beautiful beach and marina are within walking distance. It has the lovely Reina Sofia park which is ideal for a leisurely stroll enjoying the peacocks,squirrels and terrapins. Guardamar has extensive sport facilities ,the most important being the "Las Rabosas" sport centre and the Municipal Sports Centre with its olympic size swimming pool,football pitches,basketball courts and tennis courts. Watersports such as sailing,windsurfing,water skiing,jet skiing are available and of course fishing. Award wining golf courses such as Villamartin, Las Ramblas ,Campoamor and La Manga are within driving distance. There are excellent transport links to Alicante and nearby Torrevieja for more extensive shopping in the boutique malls and nightlife. 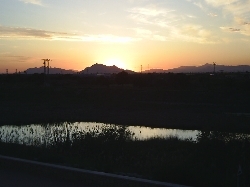 Guardamar is ideally located between Alicante airport approx 20 minutes drive and Murcia airport approx 30 minutes. Pick up's can be arranged at an extra cost if required. 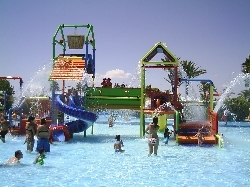 There are waterparks,ten pin bowling and cinema at nearby Quesada and Torrevieja. The theme park of Terra Mitica is situated outside Benidorm and the safari park at Elche. Both are well worth a visit. 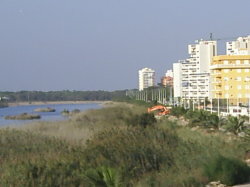 Go karting is located just outside Guardamar. The Apartment- The apartment has a double & twin bedroom both with double wardrobes,bedside tables & lamps.A travel cot is available but please bring own linen.The lounge is tastefully decorated , Uk tv programmes with dvd and playstation 2, coffee table . The dining area has table & 4 chairs with dresser. The kitchen is well equipped with fridge freezer,oven with hob ,washing machine ,toaster and kettle. Outside facilities- communal pool, large communal rooftop solarium for all day sunbathing . Private balcony with table & 4 chairs. 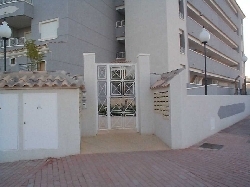 Private parking space within gated complex.